Welcome to our range of Woodlice and Earwig Pest Control Products and Supplies that can be seen below this short write up. If you prefer to order by telephone or need any advice, please give us a call on 03330 119703 UK. 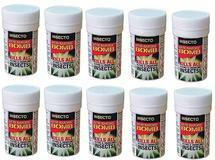 We supply the best and most effective DIY Woodlice and Earwig pest control products to buy online for delivery throughout the UK, France, Italy, Spain, other parts of Europe and the rest of the World. Woodlice are also known as leather-jackets, pillbugs, roley poleys or slaters and are garden insects that cause little to no damage. Woodlice like damp areas such as underneath loose bark or in compost heaps where they help breakdown plant material being a useful part of the composting process. Sometimes they find their way into the home or business and that is when they may be seen to be a problem. Earwigs are distinguished by their forceps like pincers and their reddish brown colour. They are nocturnal insects and during the day they like to hide away in damp cracks and crevices. At night earwigs like to eat away at flowers, foliage and vegetable crops. Sometimes these insects come indoors and so either way they can be a problem. We have put together two comprehensive Woodlice and Earwig Kill and Control Treatment Kits, as well as other pest control products, which include Electronic Insect Repellers, Insecticide or Organic Insect Killing Sprays, Insecticide or Organic Insect Killer Powders, Woodlice and Earwig Fumigation Power Foggers, Insect Glue Traps and a Humane Insect and Bug Catcher. Our products have been chosen for being the best and most effective in the treatment and eradication of woodlice and earwigs. These pest control products will kill or repel, stop and get rid of these crawling insects found in the home, business or garden. 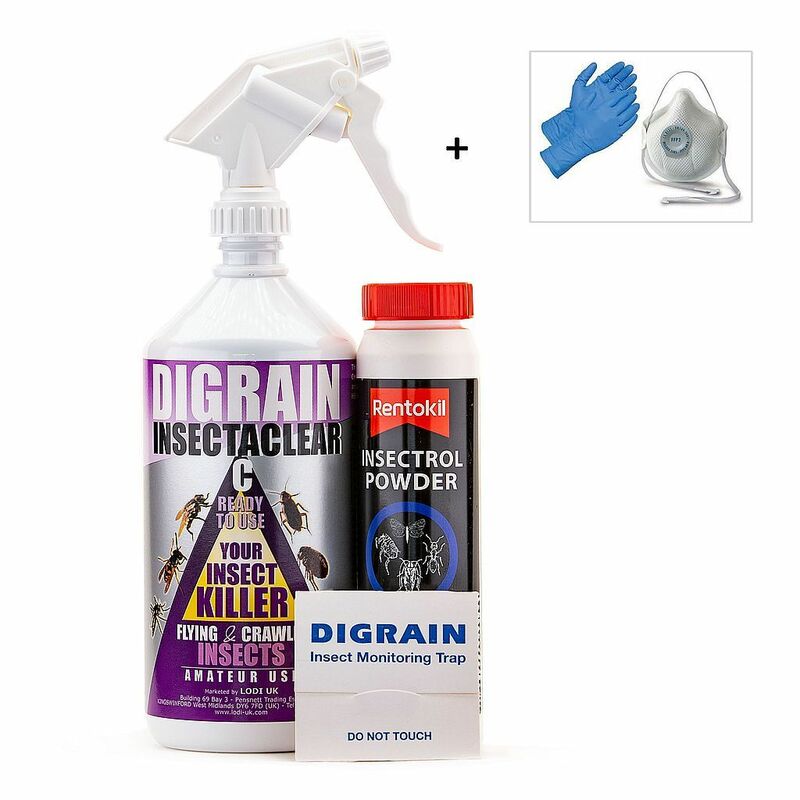 Woodlice and Earwig Kill and Control Treatment Kit is a combination of pest control products that will kill and eradicate a problem with woodlice or earwigs in the home, business or garden. Organic Woodlice and Earwig Kill and Control Treatment Kit will eradicate a problem with woodlice and earwings in an eco friendly way. The products contained in this kit are non toxic and chemical free. Electronic Woodlice and Earwig Repeller 2500 will repel, deter and stop woodlice and earwigs being a problem in the home or business. Covers up to 2500 square feet. 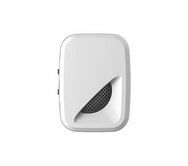 Electronic Woodlice and Earwig Repeller 4000 repels, deters and stops problems with woodlice and earwigs in the home or business. Covers up to 4000 square feet. Woodlice and Earwig Kill and Control Insecticide Spray 1 Litre will kill and stop an infestation of woodlice and earwigs. This is a residual product that carries on working for several weeks after the initial spray treatment. 1 Litre covers up to 20 square metres. Woodlice Kill and Control Insecticide in a large 5 litre container is for use inside the home or outside in the garden to kill and get rid of problems with woodlice and earwigs. 5 litres will cover up to 100 square metres. 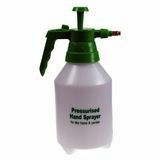 1.5 Litre Woodlice and Earwig Insecticide Hand Held Pressure Sprayer ideal for use in spraying our Woodlice Kill and Control Insecticide available to buy in a large 5 litre container. 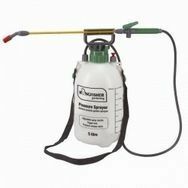 5 Litre Woodlice and Earwig Insecticide Pump Action Pressure Sprayer with a shoulder strap is ideal for spray treating a large area with our Woodlice and Earwig Kill and Control Insecticide available to buy in a large 5 litre container. 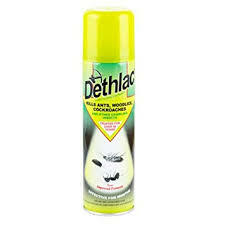 Dethlac Woodlice and Earwig Killing Lacquer Spray Aerosol is an effective product for killing and stopping problems with woodlice or earwigsn. Dries to a hard varnish like finish that has a residual effect to continue to kill and stop these crawling insects for months after the initial spray treatment. 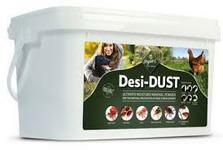 Woodlice and Earwig Killer Powder in a 150g puffer pack is easy to apply. 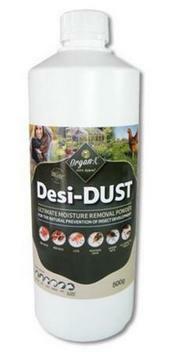 This insecticide dust should be applied to cracks and crevices from where woodlice and earwigs emerge. Woodlice and Earwig Fumigating Power Fogger x 2. 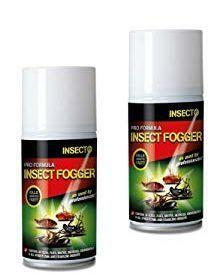 Use 1 fogger per room to give a fumigation treatment to kill woodlice, earwigs and other crawling or flying insects. 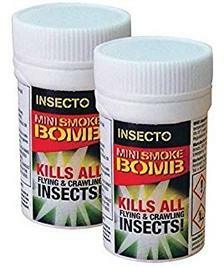 Woodlice and Earwig Mini Fumigation Smoke Bombs x 2. 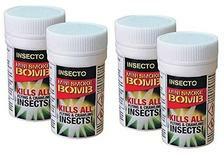 Woodlice and Earwig Mini Fumigation Smoke Bombs x 4. 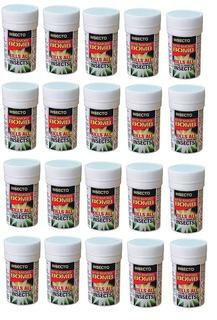 Woodlice and Earwig Mini Fumigation Smoke Bombs x 10. Woodlice and Earwig Glue Traps x 6 to place where you have seen activity of woodlice or earwigs to detect where to aim a kill and control treatment. Each sticky trap is impregnated with an insect attractant lure. OA2KI Woodlice and Earwig Kill and Control Spray 500ml is a natural treatment for killing, stopping and getting rid of woodlice, earwigs and other crawling insects. Use inside the home or business as well as outside in the garden. 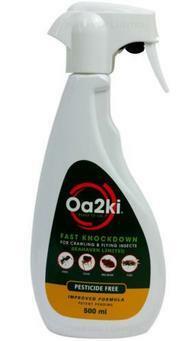 OA2KI Woodlice and Earwig Kill and Control Spray Powder is a crawling insect killer dust in an aerosol. 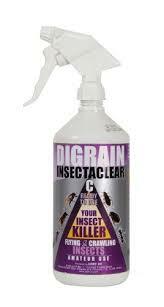 Treat cracks and crevices, nooks and crannies where woodlice and earwigs like to live and breed. Organic and Chemical Free Woodlice and Earwig Killer Powder 500g is a totally natural and non toxic dust to kill and get rid of woodlice and earwigs. Organic and Chemical Free Woodlice and Earwig Killer Powder 2kg is a natural and non toxic dust to kill, stop and get rid of problems with woodlice and earwigs. Can be used inside the home our outside in the garden. 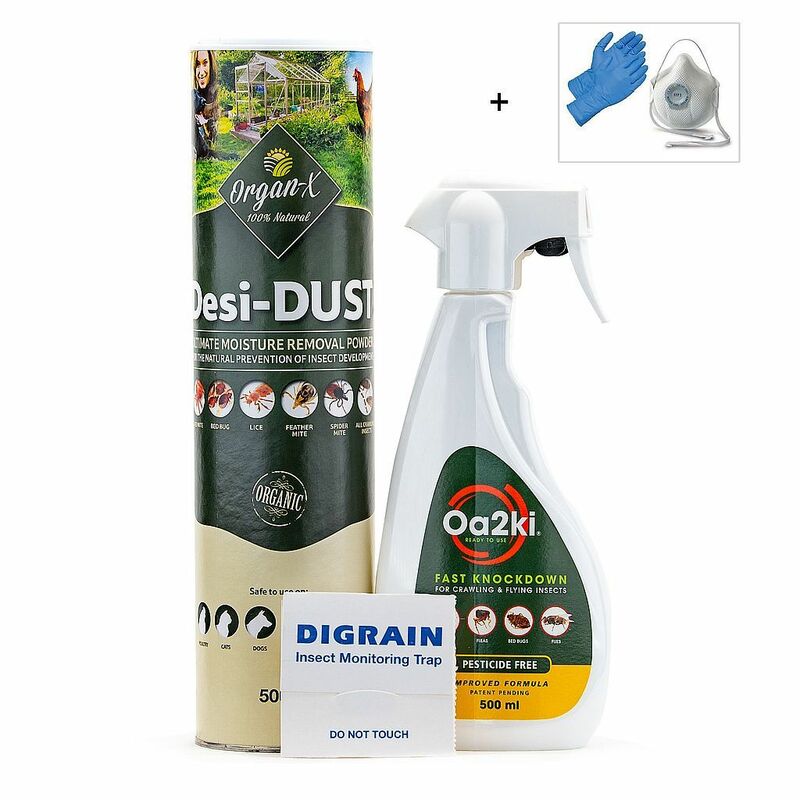 Gilmour Woodlice and Earwig Killer Powder and Dust Blower is a hand held, professional piece of equipement for use with our organic or insecticide insect killing powders. Has a long reach nozzle to get the powder into cracks and crevices where a lot of insects like to live and breed. Woodlice and Earwigs Bug Catcher humanely catches these and other crawling insects from ceilings, walls and almost anywhere in the home or outside in the garden.